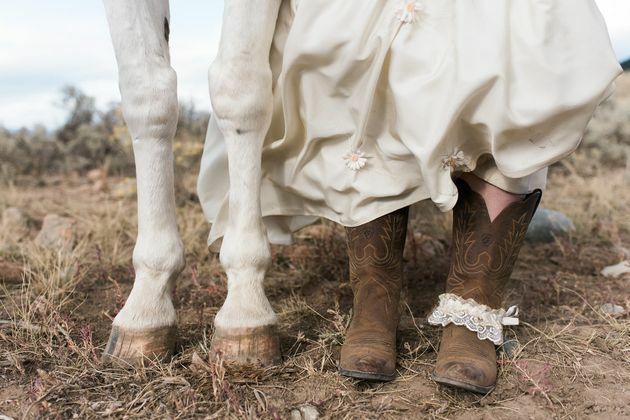 We’re not horsing around when we tell you this is one perfectly timed wedding photo. 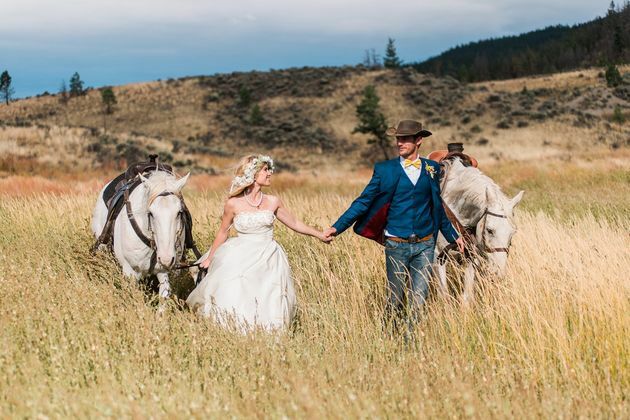 120 horses at the Sundance Guest Ranch gallop through the newlyweds’ portrait session. “Jelger shot several photographs in a short amount of time. He quickly scrolled through them on the back of the camera, but only realized he had ‘the shot’ when culling the photos days after the wedding,” Aelbrecht told The Huffington Post. Thornton called the photo above her favorite of the day. “It totally encapsulates what we love in life: each other, adventure and nature,” she said. The couple previously worked and lived at Sundance Guest Ranch, so it holds a special place in their hearts, Thornton said. It also meant that the couple knew the horses’ schedule, including the timing of the evening “jingle,” or when the animals are let out to run the pastures. The bride and one of the horses showing off their hooves. 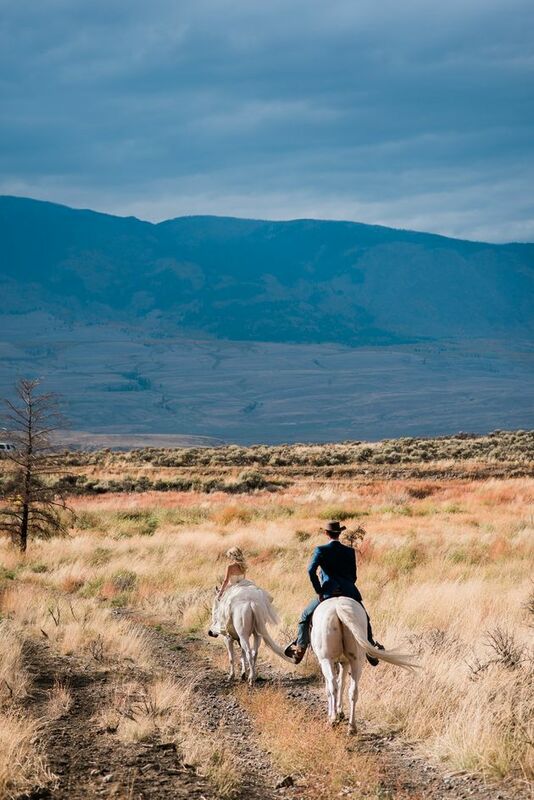 The newlyweds rideoff into the sunset. The happy couple recently celebrated the 10-year anniversary of when they first met as college students in Cork City, Ireland. This story has been updated with commentary from the bride.